Read the owner’s manual for your particular lawn mower. Use heavy shoes when operating the mower. Never wear sandals or flimsy footwear. Pick up trash and debris from the lawn before mowing. Always start the mower outdoors. Never operate the mower where carbon monoxide can collect, such as in a closed garage, storage shed or basement. Read more tips and advice here. It’s also important to be mindful of your mowing area. Make sure no children or pets are playing or running around close by. All it takes is for the blades to strike a small object to send it flying. To further this point, you’ll want to keep checking the grass checker to ensure it is secured properly. Try to avoid mowing when the grass is wet. At Robbinsdale Marine we perform lawnmower repair services such as sharpening blades, engine repair, spark plug replacement and more. 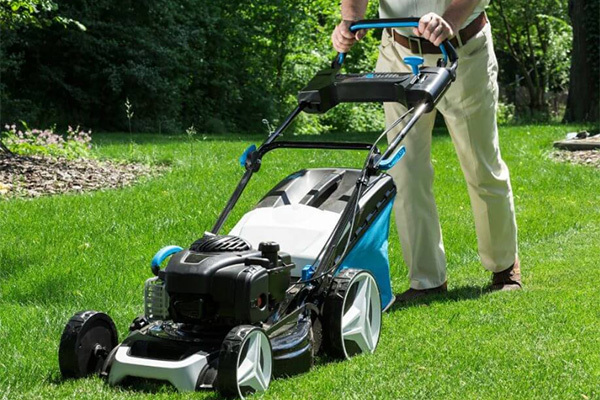 Call us at 763-533-0300 or visit our lawnmower repair page for further information.